Yellow in the driving world means caution and that is what you better be doing if you see this car get on the track. "The car has a great paint job and is fast out of the box. 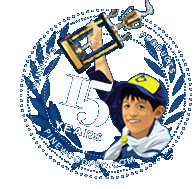 We won the 1st in Den, 2nd in Pack and 1st in District PWD with ours and all we did was add Pro lube to the wheels and that was it"
The Blazing Yellow car is a super fast pre-built pinewood derby car designed to meet BSA rules. It is an Official BSA car block, BSA axles and BSA wheels from the Cub Scout kit. This car has been pre-weighted, painted, track tested, and supplied with our BSA precision lathed Speed Wheels and BSA polished axles. Several coats of high gloss paint. Great Derby Car. Did not lose one race out of seven races. Did not raise left front wheel for more speed. Our speed was between 199.5 and 201.8. The speed kept increasing as the races went on.